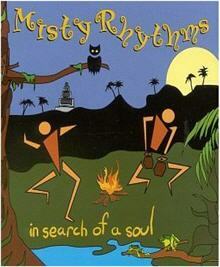 I remember in good old days when I was in school & I heard this music band called “Misty Rhythms”. I had the “cassette” of this album but slowly with death of tapes, I lost this album. I searched online many times to buy a CD/DVD version but never got one till date. I found the songs & my day is made. Now you must be thinking what’s SO great about this album which has this crazy song & why does it deserves a blog post. So let me tell you this is one of the finest music I have loved. If possible go ahead and listen to other songs of this album. “Aye Laila” is the only one which is funky, rest all are so melodious & wonderfully written that I’m sure many of you would love it. Its a wonderful fusion of Classical + Reggae + African + God knows what. Its really a hypnotic music album. I’m not a music expert or have sat for any session of music appreciation but still this whole album is very close to my heart. # Songs like “Big Blue Eyes”, “Far far away”, “Cuckoo” & “Voice from Stone” has magical lyrics. Kush Khanna – is a BS graduate and CEO of Bazaar of India Imports, the largest importer of ayurvedic product and musical instruments into the USA. Wherever you are, my best wishes to you & would love to get more of such music. I used to love this song as a kid. Had forgotten about it for a long time. But remembered it today all of a sudden and found it on youtube. Fell in love with it all over again. And then chanced upon your post — great to know that I am not the only one who remembers and adores Misty Rhythms. Thanks for telling about Ramana and Kush. Im looking for the video too. Its lovely music and great location and pretty nice to watch.